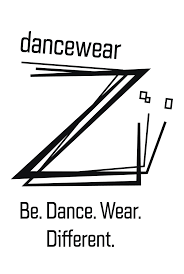 Temps Danse clothing is recognized in the world of dance and fitness. It combines femininity and technicality. The collections are designed for an intense practice of classical, jazz, contemporary dance but also fitness, pilates without forgetting all forms of yoga and can be carried daily in a dancewear style. The Temps danse collections are a rigorous choice of raw materials, especially with the viscose that they were the first in 2004 to introduce in dance clothes. The viscose, derived from vegetable fibers, offers optimum comfort. Its touch is soft and natural, its excellent solidity and its colors do not deteriorate. Denser than cotton, it has a great capacity of absorption. Mademoiselle Danse has selected for you a whole range of trousers. Leggings, pants "carrot" or even adjusted, you will find your happiness. The classical dance will not be forgot with the different models of academics in viscose very comfortable. Dance bra for women.Perfect to wear under costumes.Thin straps, round neckline front and on the back.Mix of viscose and elasthane. Mademoiselle Danse likes: the very comfy fabric. Viscose Dance short soft and comfortable. Large cut offers a large freedom of movement.Large waist to roll on the hips. Mademoiselle Danse likes : the perfect large cut ! Bat sleeve Tee-shirt 3/4 sleeves.V neckline on the front.In natural viscose you will appreciate its soft touch. Mademoiselle Danse likes: the material! Long sleeves dance t-shirt.Extremely elegant with the Angora aspect due to the natural viscose, polyester and elasthan.Very soft touch . Mademoiselle Danse likes : the gather in front. Long sleeves wrap-over top.Extremely elegant with the Angora aspect due to the natural viscose, polyester and elasthan.Very soft touch . Mademoiselle Danse likes : the gather in back. Short sleeve t-shirt dance.Rounded neckline front and back.Black enrollment trend. Jazz pants for children.It will be perfect for jazz and modern dance.Supplex. Feminine half sleeves leotard.Very pretty V neckline highlighted of an attached tape.Viscose-elastane for a touch soft, comfortable, natural and strong. Mademoiselle danse likes: the possibility to wear it as casual clothes. Thin straps dance leotard. Fully lined front.Can be used as underwear for stage, or just as leotard for rehearsal.Viscose.Mademoiselle danse likes: the second skin color and the material. Dance leotard with thin straps.Gathered neckline front and back.Front linning.Soft and stretch natural viscose. Mademoiselle Danse aime : the cedar color ! Temps Danse long sleeves leotard.Very comfortable in natural viscose.You will love it.Rounded neckline, front and back. Mademoiselle Danse likes : the viscose. Dance seamless bra for women.Large straps, round neckline front and on the backMix of polyamid and elastane. Mademoiselle Danse likes: its very good support!